Ahoy! 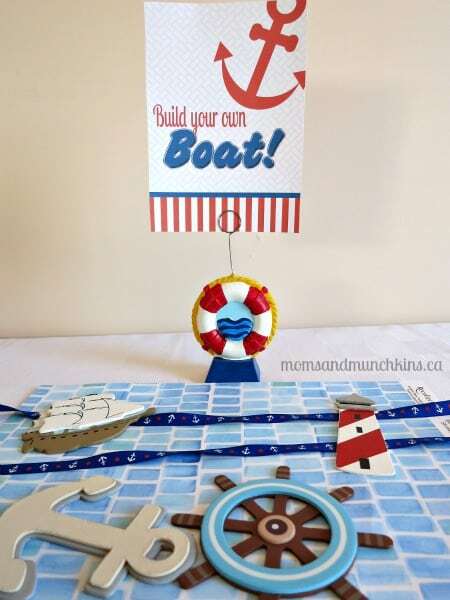 I’m excited to announce that we’ve had another fun birthday party post featured in Calgary’s Child Magazine. 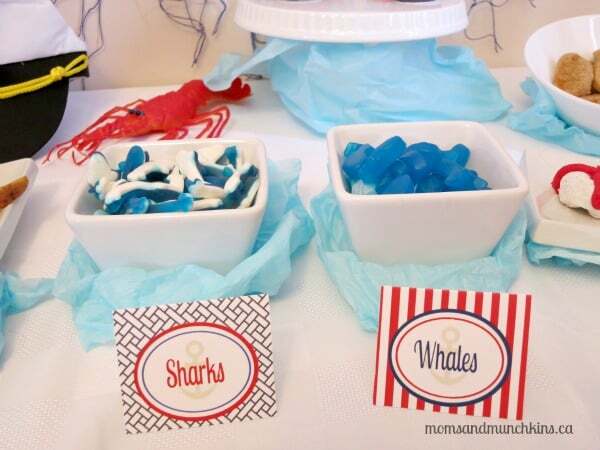 This Sailor Birthday Party is filled with delicious “sea creatures”, activity ideas, favor tips and more. 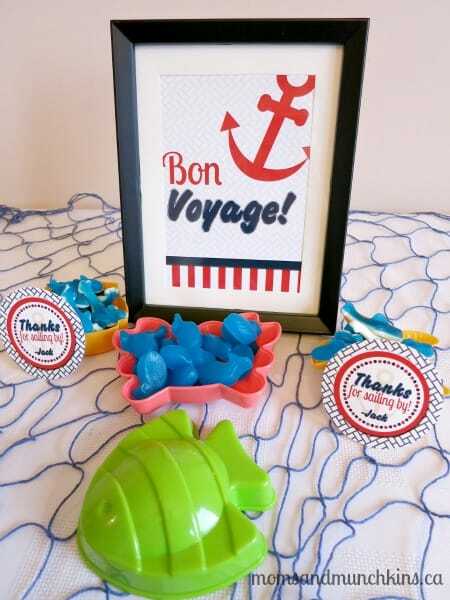 The printable party supplies are courtesy of Just a Little Sparkle. 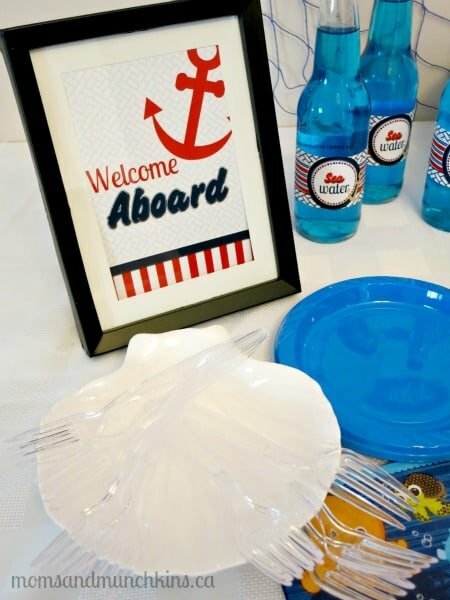 For even more creative sailor party ideas including free printables, crafts, games and more party decorating ideas, visit our Sailor category. 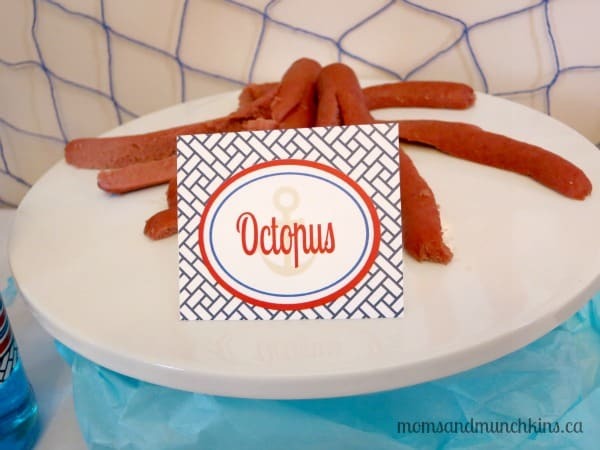 In this post, I’ll share all of the photos from our party photo shoot with you. I always take a lot of photos for the parties I create but there isn’t enough room in a magazine article for every photo. 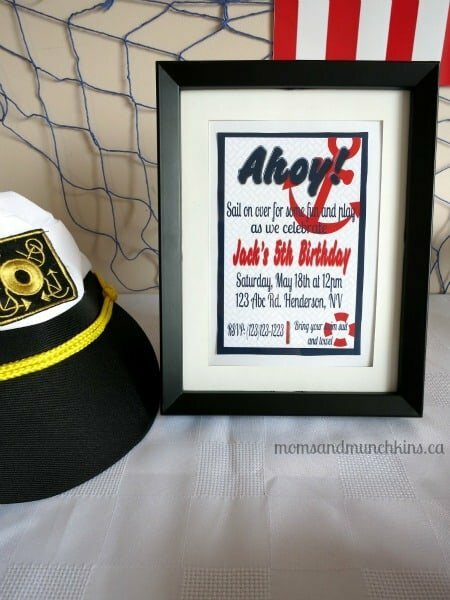 So have fun checking out the party photos and then head over to Calgary’s Child Magazine to read the full Sailor Birthday Party article. 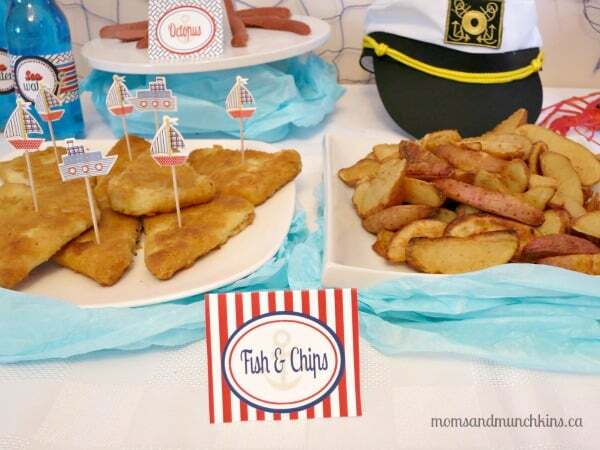 Although a sailor typically dines on fresh seafood, there are delicious ways you can add in some fun buffet options to your party – no fish cleaning required! 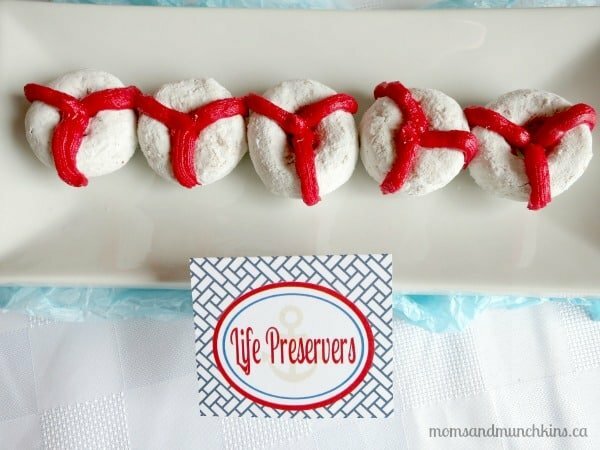 From gummy sharks to powdered life preservers, there are so many fun ideas for a Sailor Birthday Party dessert table. 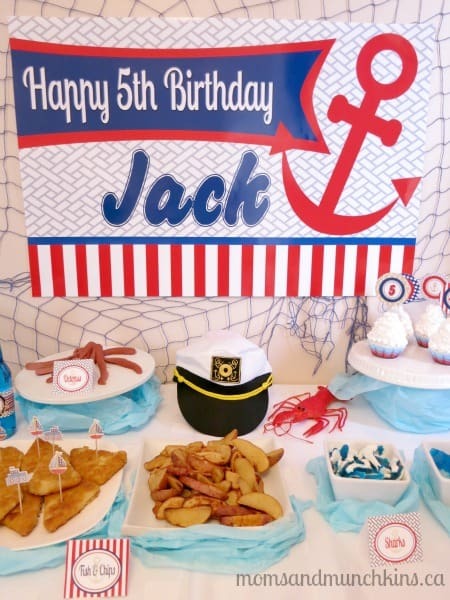 Put your little guests to work hoisting the sails with some silly & fun sailor birthday party ideas. You can read more about these ideas in the magazine article. 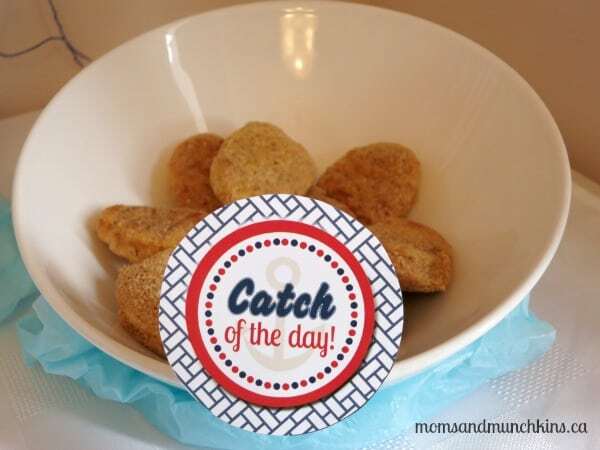 These fun favors can be put together from items in your local dollar store. 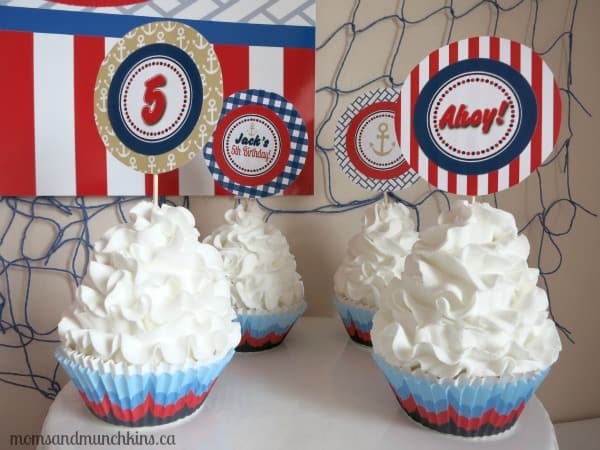 For more fun birthday party ideas including themes, food ideas, free printable checklists, location ideas, activities and so much more, visit our Birthday Party page. As always, if you’d like to see a certain party theme on the Moms & Munchkins blog, let me know and I’ll try to work it into a future post. I love requests from readers! 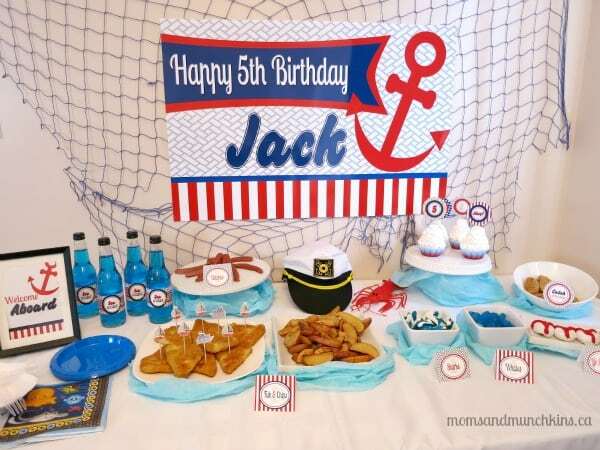 For more creative birthday party ideas, follow us on Facebook, Twitter, Pinterest and Bloglovin’. *Disclosure: I am part of the Amazon & Birthday in a Box affiliate programs. All opinions expressed here are my own. Thanks for stopping by & hosting the fun party! See you next week! 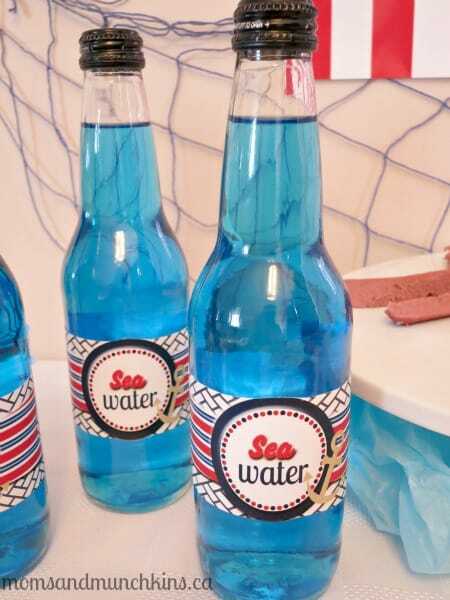 What a cute, cute idea! 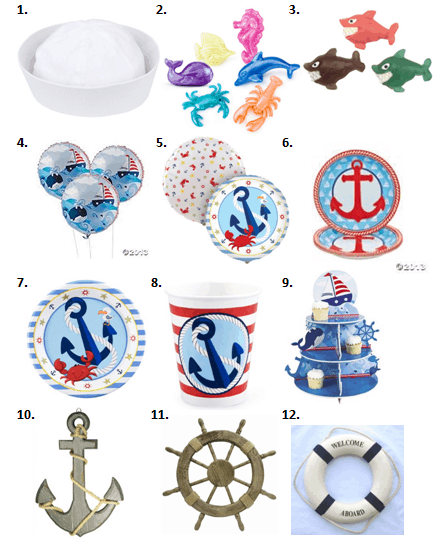 I love how nautical and colorful it is!